Situated in Sibiril, this hotel is within 9 mi (15 km) of Plouescat Cathedral, Market Hall, and St-Pol-de-Leon Cathedral. Beach of Pouldu and Porsmeur Beach are also within 9 mi (15 km). Situated by the ocean, this property is within 6 mi (10 km) of St-Pol-de-Leon Cathedral, Beach of Pouldu, and Plouescat Cathedral. 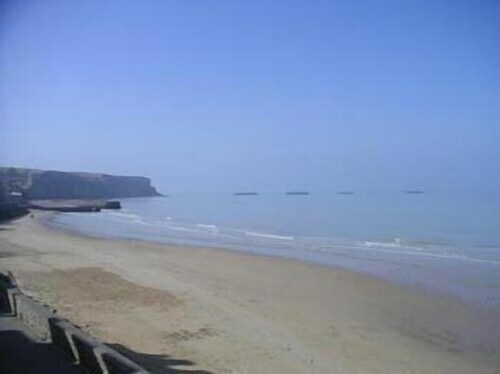 Market Hall and Plage du Traon Erc'h are also within 9 mi (15 km). Situated by the ocean, this vacation home is within 9 mi (15 km) of Plouescat Cathedral, Market Hall, and St-Pol-de-Leon Cathedral. Beach of Pouldu and Porsmeur Beach are also within 9 mi (15 km). Situated near the beach, this villa is within 9 mi (15 km) of Plouescat Cathedral, Market Hall, and St-Pol-de-Leon Cathedral. Beach of Pouldu and Porsmeur Beach are also within 9 mi (15 km). How Much is a Hotel Room in Sibiril? Hotels in Sibiril start at per night. Prices and availability subject to change. Additional terms may apply. 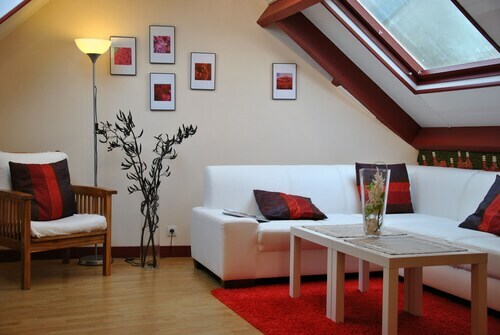 If you are researching a vacation in Brest - Northern Finistere and are searching for a place to stay in Sibiril, you can find a wonderful range of options to weigh up. Travelers can book about 14 establishments within a 6 miles (10 kilometers) drive of Sibiril. The La Marine is up there with the most ideally positioned rooms, one of the few options that are within walking distance of the Sibiril center. The Le Temps de Vivre is 6 miles (9 kilometers) from the city center of Sibiril. Or, alternatively, the Hôtel Brittany is located 6 miles (10 kilometers) away. You could also check in to the Auberge Saint-Thegonnec or the Hôtel Thalasstonic. The broader Brittany district is definitely worth visiting too. Brittany is the home of beaches, coastal plains and impressive rock formations. Popular visitor sites include castles and traditional villages. Travelers in this section of France can enjoy mountain biking and cycling. 5 miles (9 kilometers) away from Sibiril, you will find Roscoff, which is where you can spend a few hours exploring Notre-Dame de Croaz Batz and La Maison des Johnnies et de l'Oignon Rose de Roscoff. The Les Residences Spa de Rockroum and Bellevue are just a handful of the comfortable apartment and hotel choices in Roscoff. Or, you could stay in Morlaix, 13 miles (20 kilometers) to the east of Sibiril, where you can choose from the Hotel de L'Europe and L'Albatros. The Duchess Anne’s House and Eglise Saint Melaine are some of the more popular attractions to visit for those visiting Morlaix. Simply because you are on a break, shouldn't have to mean you can't indulge in your love of sporting events. Francis-le Ble Stadium is 25 miles (41 kilometers) to the southwest of Sibiril. Travelocity customers that enjoy the convenience of booking a room in the vicinity, reserve a room in the Oceania Brest Centre or Hôtel Le Continental. Brest - Brittany Airport is a primary airport, and is located 20 miles (35 kilometers) from Sibiril's downtown. Travelocity-listed accommodation nearby are Escale Oceania Brest and B&B Hôtel BREST Kergaradec. Villa Enora Indoor Heated Pool all Year Round Enclosed Garden Wifi Jacuzzi .